Astro Stores Is Wholesale Supplier For Kaudi. Kaudi Conch Is Considered Holy By Hindus And Very Auspicious. The Possession Of Kaudi Conch Is Considered Very Good For Wealth. It Is Believed To Bring Financial Prosperity. Ever since we have established our base in this highly competitive industry, we are readily engrossed in the arena of presenting Cowrie Shells. 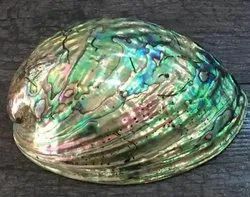 Ball made up of Mother of pearl (Sea shell) with high surface finish. Coloured artificailly aquarium sea shell mixed shells water and acid proof. Avaialble in bulk quantity. All kind of Sea Shells available at best price with good packing. We the VAIKASH EXIMS introduce ourselves as the exporter and suppliers of seashells for decorative purpose and poultry feed purpose from Tuticorin, Tamilnadu - India.